OUTLINES OF A THEORY OF MACHINES. Director of and Professor in tlie Kb'niglichen Gewerbe-Akademie in Berlin. Member of the Kdnigl. technischen Deputation fur Gewerbe. Professor of Civil and Mechanical Engineering in University College, London. 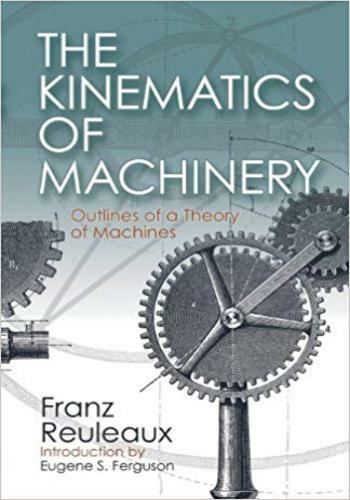 OUTLINES OF THE THEORY OF MACHINES. 19. Restraint against Turning 103xii CONTENTS. CHAPTER VI. SKETCH OF THE HISTORY OF MACHINE DEVELOPMENT . .
80. Chamber-crank Trains from the Isosceles Turning Slidercrank . 355CONTENTS. CHAPTER XII. THE ANALYSIS OF COMPLETE MACHINES 486.